Aromas (without water) The nose is intense and pungent, with hints of fragrant smoke and light tar, and creamy notes of sweet oak and seaweed. Flavour The initial taste is one of sweet maltiness, then a lovely balance of a tangy smokiness and vanilla notes, blending mellow and smooth. There are also hints of white pepper, bitter orange, liquorice and sea salt. The finish lingers, with flavours of oatcake and sea salt once more - with a peppery sweet smoke undertone. Additional Information Uncoloured and non chill filtered. 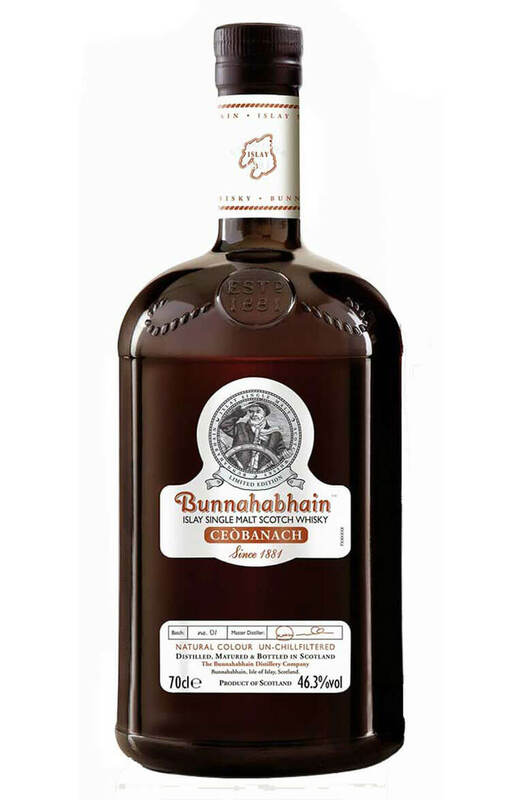 By rebranding the whisky, and bottling at a higher strength without filtration Bunnahab..
A peated and smoky tasting version of Bunnahabhain that is a slight departure from the in-house styl..